The Song Commonly Called "Teenage Wasteland" is Actually Named "Baba O'Riley"
The song “Baba O’Riley”, written by Pete Townshend and performed by The Who, is often incorrectly called “Teenage Wasteland”. The actual name of “Baba O’Riley” was chosen in tribute to famed spiritual leader, Meher Baba, and musician Terry Riley, who provided the philosophical and musical influences for the song itself. Meher Baba was a famed Indian spiritual guru and the self proclaimed reincarnation of God. Terry Riley was simply a minimalist musician and classical composer that Pete Townshend admired a great deal. Riley’s music also heavily influenced the composition of the song Baba O’Riley itself, particularly the keyboard riffs. Pete Townsend originally wrote the song as a part of the follow up to Tommy, called Lifehouse. The original version of the song made for Lifehouse was actually nearly 30 minutes long. 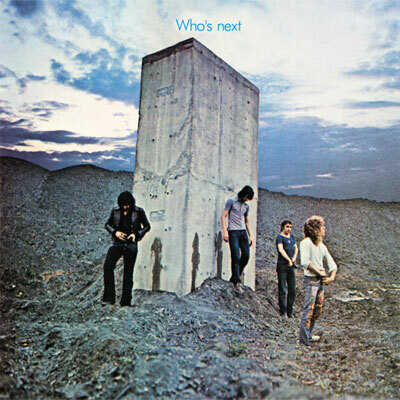 When the Lifehouse project never got picked up by anyone, The Who took many of the songs from that project and shrunk them down to be put in the 1971 album Who’s Next, which was one of their most popular albums. In Lifehouse, the song was to be sung by Ray, who was a Scottish farmer. During the song, Ray gathers his wife, Sally, and his two children and takes them to London, trying to escape the “Teenage Wasteland”. The synthesizer part in Baba O’Riley is played from a taped recording due to the fact that it is too difficult to reproduce live. The idea for the violin part at the end of the song was Keith Moon’s idea (drummer). Instead of having a violin play in concert, The Who almost always have the end jig played on a harmonica. The name “Meher Baba” means “Compassionate Father”. This name was given to the spiritual leader by his followers. Baba constantly promised to his followers that, when he broke his silence, he would speak a word that would lay the foundation for everything that would take place in the world for the next 700 years. Several times he would set a time and location for when he was going to speak this word, only to break his promise, often without any explanation. Baba’s last sign language message before his death on January 31, 1969 was “Do not forget that I am God.” He died without ever speaking the word he had promised would change the world. Today I found out . . . Terry Riley is from little ole Redding CA, the place I call home. Pete Townshend did indeed write and record a song called “Teenage Wasteland” as part of the Lifehouse project. It incorporates much of the lyrics and some if the music used in “Baba O’Riley” but the bulk of the song is musically and lyrically different. What’s commical is so many seem odly motivated to try and twist the released charts or album version in some way. The lyrics themselves leaves absolutely ZERO doubt what “The Kids” were conveying in veiled terms of marketing necessity. Don’t try and play all smart when clearly you all didn’t live it. And just now you found out that unless you’re old enough to recall, in fact the original MTV video not only can scarcely be found anywhere anymore, but was titled, “Teenage Wastelands”. So where all the suggestion that title is incorrect, along with all the dancing around in an apparent attempt to reframe what the song pointedly is about, “Teenage Wastelands” for real, is most ponderous. Great article! Always wondered about this fantastic song’s peculiar name.